John and I have been lucky enough to do a little traveling over the past 3 years. We’ve been to Las Vegas, New York City and San Diego together while I’ve traveled on my own to New York City, Los Angeles and Toronto. And next month we are heading out again…to Dallas, Texas! There’s lots of things that go into preparing for a trip and one of the most important is to have a good set of luggage! I am now the owner of a new suitcase: a National Geographic Explorer Photograph Series – Style # NGX1574 Bridge – Hardside 4 wheel spinner (MSRP $140.00). John and I were talking about getting a hard-shell suitcase to better protect its contents. I had the unfortunate experience in the Fall of having the airline “misplace” my luggage and my suitcase came back mangled and broken. I think a hard-shell case will be much more sturdy. 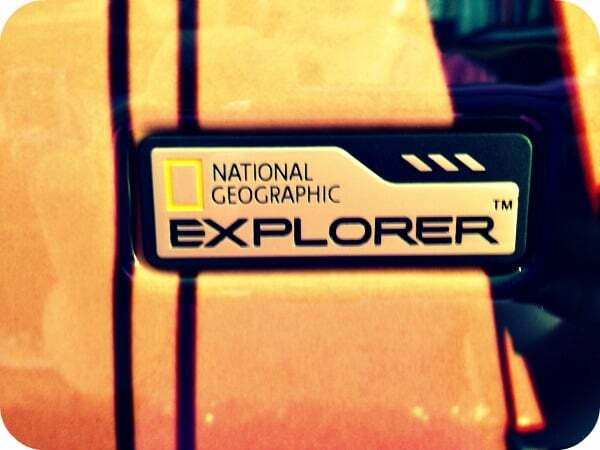 It makes sense to me that National Geographic has luggage. It’s a brand that is associated with exploration, adventure and high quality. I was a geography buff in high school and used to subscribe to National Geographic magazine as well as their Travel magazine. My suitcase is part of a matching 3-Piece set. It features iconic images from the National Geographic archives. Mine has a photograph of the George Washington Bridge which connects New York City to New Jersey. It’s a gorgeous shot with an orange sky. One thing I like about having a unique piece of luggage is that I will be able to quickly spot my suitcase on the luggage carousel. Everyone seems to have a black suitcase! I’ll be bringing this piece of luggage with me to Dallas next month. It’s a big step up from my old suitcase in terms of quality and appearance! The National Geographic Iconic Pictures Series 3-Piece Set come in three sizes: 20 inches , 24 inches and 28 inches. It also comes with a 5 year warranty. Check out National Geographic for locations where to buy in your province. In Nova Scotia where I live there’s three locations in the Halifax area that sell them. One lucky Canadian is going to win an experience of a lifetime in the Passport to Explore Sweepstakes! The grand prize is a 7-day adventure for 2 to a North American Destination of the winner’s choice (anywhere Air Canada flies, with accommodations at Loews Hotels). I stayed at the Loews Hollywood Hotel in September and it was amazing! Visit a National Geographic Explorer luggage retailer and identify the mystery animal. You will find it on The Passport to Explore hangtag that can be found on National Geographic and National Geographic Explorer products.Enter the name of the animal in the contest form. Earn a bonus entry by inputting my unique Blogger Code in the contest form: 781. The contest ends on March 31, 2013 and is open to Canada only. If you could travel anywhere in North America, where would you go? I’d like to go to Nashville! 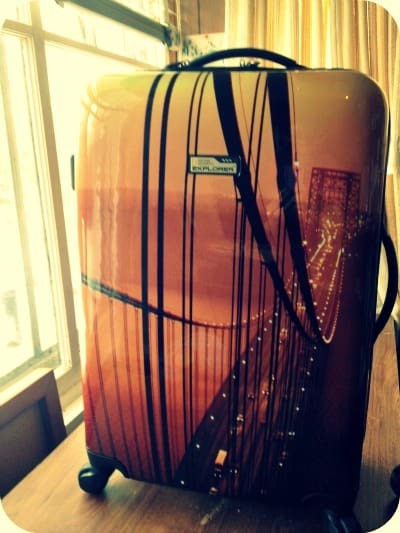 What a gorgeous suitcase! I really need to get a new one soon! I have wanted one of these suitcases for a long time. Thanks for the opportunity to win one. Didn’t know that they had suitcases, they look great will have to check them out. I love the 360 wheel spin. I too had my luggage mangled by the airport so disappointed. I love it. That’s a really pretty piece of luggage. I have tried to enter this contest three times, and each time it tells me there is an error, but the information I have given is correct. there does not appear that there is any way to enter. I would appreciate acknowledgement of my entry effort. 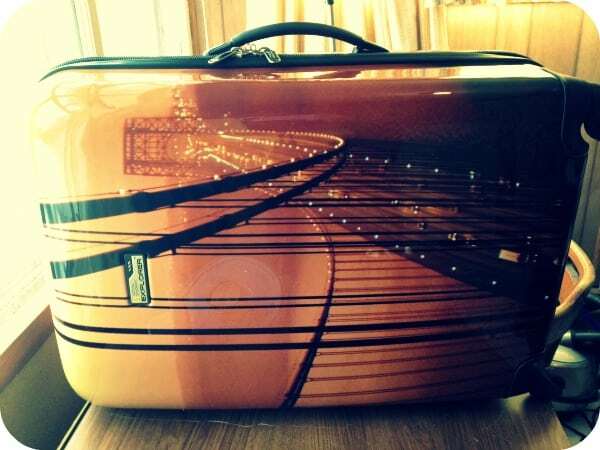 That is a beautiful suitcase! I think I should probably replace my suitcase with a hard shell like you have. Mine is the same size/shape, but it isn’t waterproof. Last year my suitcase was soaked when we landed and I got it back after a short flight. It had been snowing/raining when the luggage was being loaded (or while it was sitting outside waiting to be loaded before our flight departure). The suitcase sounds very functional, I may have to check that out. Beautifull! 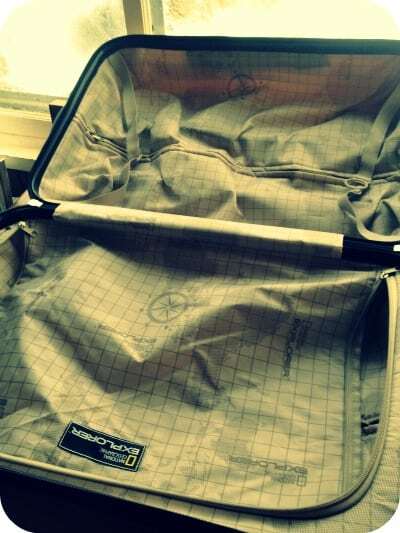 I love this suitcase. I’ve never had hard shell luggage, but plan to for my next suitcase purchase. Very nice!